Breakfast worth licking the plate over. Have you had that in awhile? Well, here is my answer to the "You can eat eggs every day?" question: Yes. Yes, I can. Because they are that damned good. And I can change them up in an infinite number of ways if I grow bored. But I haven't yet. 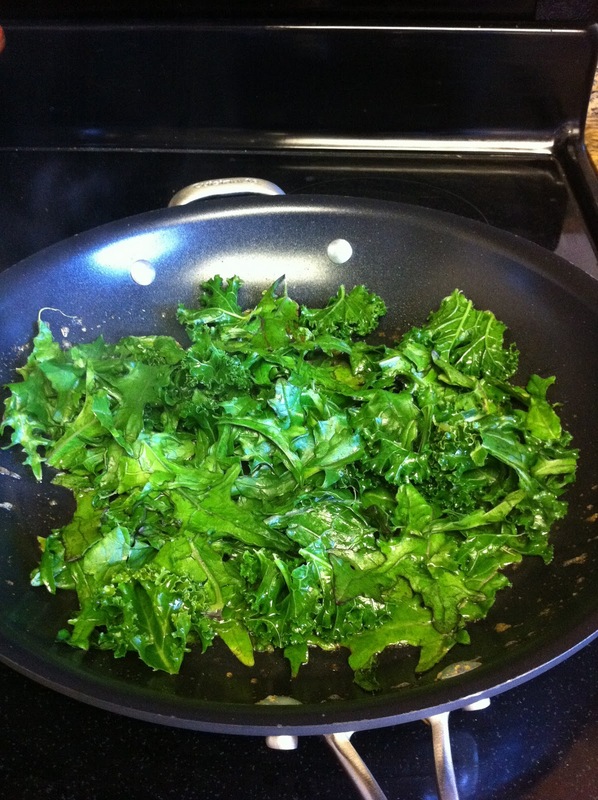 Today's recipe comes from the advice of my acupuncturist to eat more dark, leafy greens to "build my blood." Whether that makes sense or not, dark, leafy greens are unquestionably good for you and nourishing, so I take that advice and run with it. I'm on a low-carb, paleo-style diet, so it's mostly meat and veggies for me. This breakfast fits perfectly into my life and I love it. Why am I focusing on breakfast with the Holiday Season so plastered on every available venue online and abound? Because it is the simplest way to start your day right and set up your body, especially your blood sugar, for a day that might not be as "on the diet" as you hope. Tis the season for indulgence and this breakfast will taste like an indulgence without actually being one, which leaves more room for real indulgences worth the cheat later on. Some others who follow a similar diet might point to intermittent fasting as a great way to start a day, indulgence later or not, and that's also valid for some. But for me, personally, my blood sugar is temperamental and I hit low, lows if I skip breakfast. It's so much so that I can't help but overeat for at least the rest of that day, if not a few days. Therefore, breakfast is key, at least for me. My advice is if you are going to eat breakfast: start your day on the right foot with nourishment as your fuel! 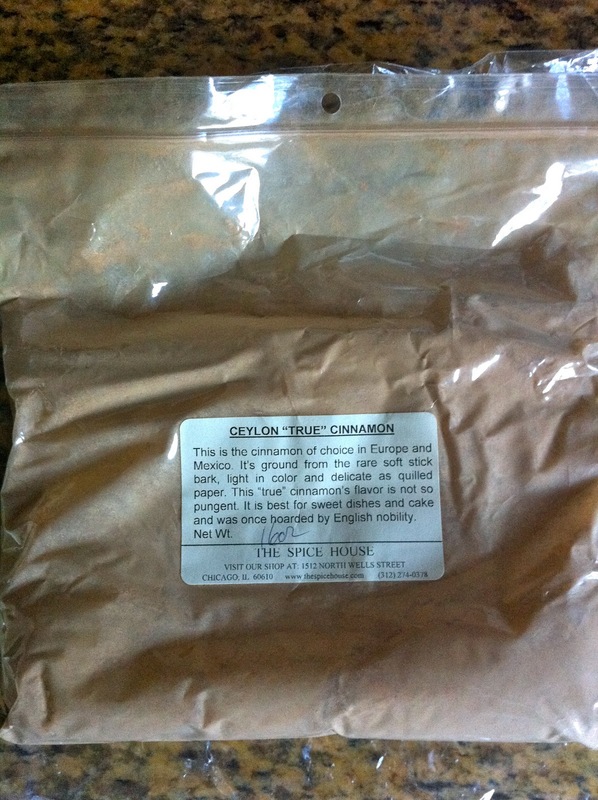 I'm addicted to cinnamon, that's why ;) Truth be told, Ceylon Cinnamon is a more subtle, fruitier cinnamon that doesn't pose the same over-dose warnings as Cassia based cinnamon (the most common cinnamon you can find, regretfully). Read my last treatise on the topic here: Apple of My Eye. 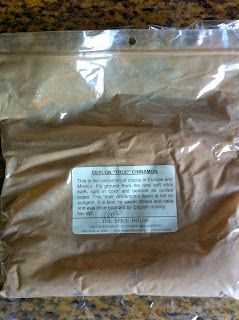 I found my Ceylon Cinnamon through mail order from The Spice House and just love it. It's hard to say if Ceylon Cinnamon has the same benefits as Cassia-based cinnamon, but here is the World's Healthiest Food's rundown on cinnamon. I specifically like the anti-microbial properties and blood sugar moderation. For this recipe, Ceylon Cinnamon just adds a great flavor that catches the sweetness of the salmon and butter. It delights the senses and adds an earthy, wintry spark. A delicious Christmas gift from Aunt Kathy--thank you! 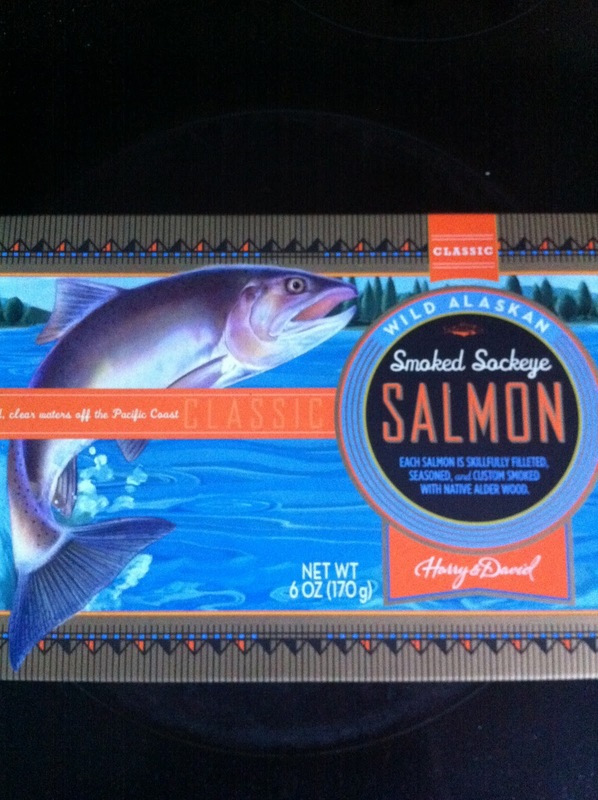 Wild-caught Alaskan salmon is a national treasure and still on the Best Choice list for salmon by the Monterey Bay Aquarium's Seafood Watch List. Salmon is chock full of omega-3 fatty acids, vitamin D, B vitamins, and protein. It's notable for promoting heart health, being anti-inflammatory, protecting against cancer, benefiting cognitive function, and more. 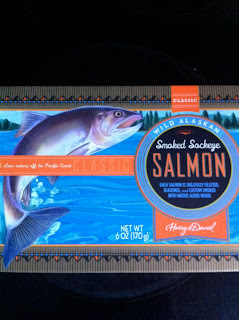 For more on it's incredible benefits, check out the World's Healthiest Foods: Salmon page--it's a long one! Kale is delicious and nutritious. Packed with antioxidants, vitamins, minerals, CALCIUM, and over-rated fiber, this veggie is a superfood. It is known for fighting and preventing cancer and detoxifying your body. As for blood building, it has iron, B vitamins, and folate, plus that detoxifying effect. 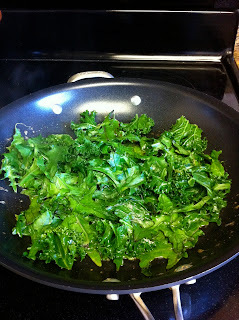 For more information on kale's benefits, check out this resource: World's Healthiest Foods: Kale. OMG, do you have to ask? They are perfect little packages of everything you need from an animal food, including protein (ALL the essential aminos), fat (yes, the healthy kind), and some other beneficial stuff like vitamins, minerals, and cholesterol (Yes, that's a good thing. If you don't know that, read this short list of cholesterol facts from the author of The Cholesterol Myths ). Cutting back on egg consumption has been widely recommended as a way to lower blood cholesterol levels and prevent coronary heart disease. Is this valid advice? Recently, researchers took a close look at the egg-eating habits and heart health of 118,000 men and women. The scientists reported that "we found no evidence of an overall significant association between egg consumption and risk of CHD [coronary heart disease] in either men or women." In fact, they found that people who ate from 5 to 6 eggs per week had a lower risk of heart disease than those who ate less than one egg per week. One wonders what the scientists would find if they looked at the heart health of those lucky people who eat eggs from pastured hens? So back to the egg white. 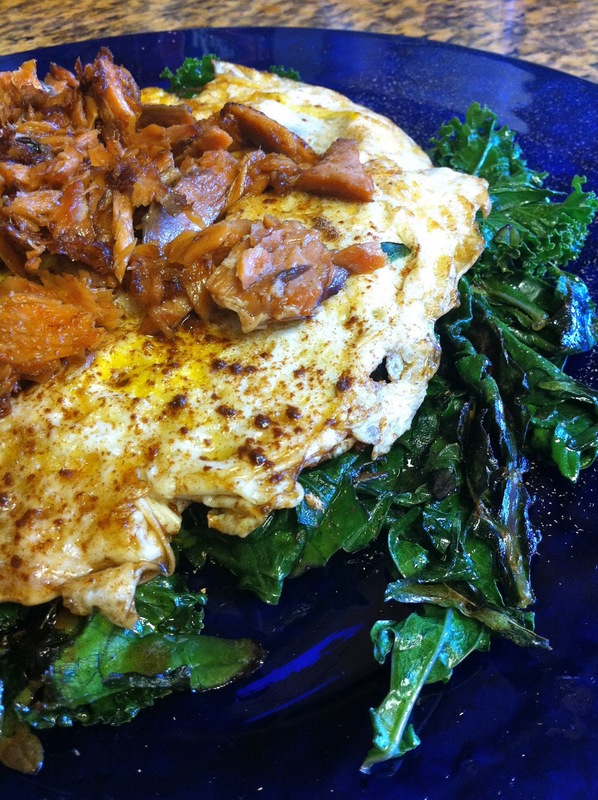 Read The Incredible, Edible Egg for more on why eggs whites are INFERIOR to egg yolks. So people who say they are having egg white omelets for their health are grossly misinformed to put it lightly. Eggs are an exceptionally nutritious food, as are all foods destined to nourish a growing animal. However, one concern lies in eggs' high concentration of arachidonic acid (AA), a long-chain omega-6 fat that is the precursor to many eicosanoids. Omega-6 derived eicosanoids are essential molecules that are involved in healing, development and defense. Some of them are inflammatory mediators that can contribute to disease when present in excess. Eggs are one of the main sources of AA in the modern diet. Not everyone has access to pastured eggs. "Omega-3 eggs" come from hens fed an omega-3 enriched diet*. Not only do they have a much higher omega-3 content than conventional eggs, they also contain less AA [. One study found that omega-3 eggs contain 39% less AA than conventional and organic eggs. Omega-3 eggs were also rich in short- and long-chain omega-3 fats. Omega-3 eggs are certainly not nutritionally equivalent to pastured eggs, but they're a step in the right direction. I don't really know if the AA content of eggs is a concern. Eicosanoid biology is complex and it doesn't like to fit into simple models. I'll look forward to seeing more research on the matter. In the meantime, I'll be eating pastured eggs, and when they're not available I'll eat omega-3 eggs. *Typically from flax seeds, but some operations also use seaweed. The hens in the paper I cited were fed flax. The hens managed to convert a substantial portion of the alpha-linolenic acid into the important animal fat DHA, and presumably EPA although it was not measured. Ah, but the controversy isn't over! There is also the issue of the omega-3 'enrichedness' of eggs. Robb Wolf and other esteemed sources like the omega-3 enriched because the chickens are fed flax, algae, and/or fish oil, so their eggs are chock full of omega-3s. The ratio of EPA, DHA, and ALA might vary by source, but you probably should be getting your omega-3s by fish and fish oil anyhow. 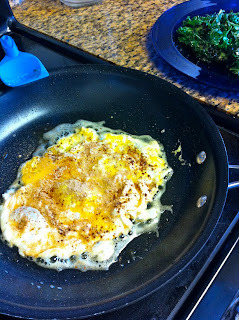 However, just when I thought omega-3 enriched eggs were second only to naturally pastured, Dr. Mercola burst my bubble. He says that omega-3 enriched eggs result from chickens fed RANCID flax, so they are LESS healthy than regular pastured eggs. According to Dr. Mercola we should avoid omega-3 eggs because they oxidize faster and don't last as long as other eggs. ARGH! So the oxidation concerns may be legit, but I couldn't find other vocal sources demonizing omega-3 eggs. Have you? ..over medium or soft boiled is likely best. Love scrambled however. Keep the flame kinda low, use plenty of olive oil (antioxidants in there) and enjoy IMO. I may be wrong but I doubt this poses a significant risk with regards to oxidized fats. Why not? 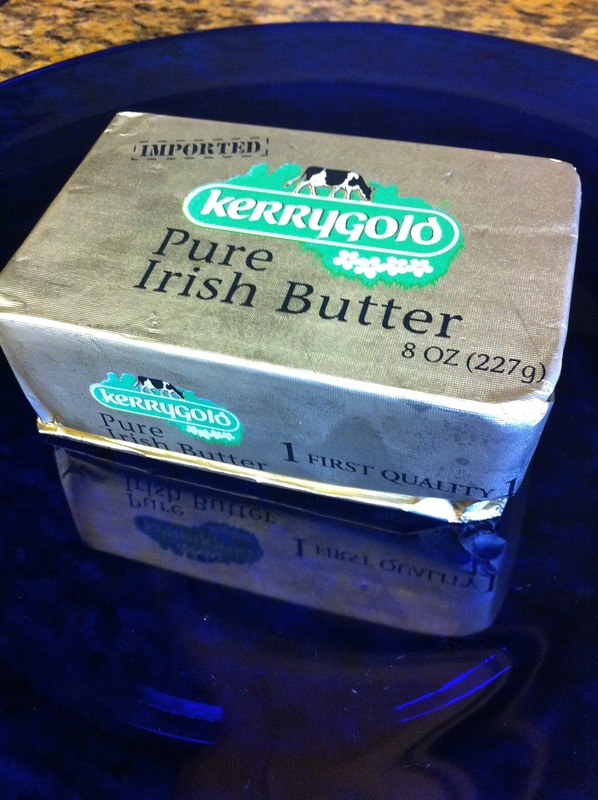 You don't actually still believe the saturated fat myth, do you? Mark's Daily Apple has a great summary of that argument. So, what's the story with butter? It's dairy, right? Therefore on the Paleo "no fly" list? Well, butter is dairy; it can present some problems for folks with autoimmunity because of the milk protein content and lectins that are still a part of the butter. Sorry hippies, even clarified butter (ghee) is a problem. I would, however, put grass-fed butter on the "occasional" list. The fatty acid profile is better (lower in palmitic, much higher in CLA) and the antioxidant content is nothing short of impressive. Butter is mainly fat, so if we clean up the lectin problem, and push the fatty acid profile toward that of healthful grass-fed varieties, it's tough to build much of a case against grass-fed butter unless you have autoimmunity. See, I'm not a zealot after all. Whole Health Source got me on the butter kick with its article on vitamin K2 from butter. Butter makes this breakfast lip-smacking delicious, but the players: kale, eggs, cinnamon, and smoked salmon make this nourishing fuel. Way to start your day! Quantity: play around with the quantities to get the desired serving size for each diner. I usually have a couple of eggs and ounce or two or salmon. That'll satisfy me well into the afternoon. Start the skillet over medium heat and melt a pat of butter till the bubbles subside and it starts to darken. Meanwhile, tear the kale greens into bite-sized hunks from the woodier parts of the stems and rinse in warm to hot water to start the cooking process. Squeeze them dry and add them to the melted butter in the skillet. Stand back and watch out for popping if your greens were wet! Give the kale some time to wilt and then turn them. Once you feel they are pretty tender (5min give or take), remove them from the pan. Alternatively, you can try to spread them out to the sides of the skillet and create a well in the middle for the eggs to cook. Start a little earlier so the greens don't overcook, if so. Once the salmon is done, pour it on top of the eggs, making sure you get ALL of the remaining butter from the pan. Sprinkle some more cinnamon on top if desired. Serve 'um up--one delicious, heart-heathy, brain-healthy, fuel-for-your-body meal that'll keep you satisfied for many hours to come! I know, I know--it's been awhile. In the last recipe post I made: Broiled Bacon-Fat Smeared Broccolini, I made the case for how I eat so simply, there's no recipe required. When you are eating meals with simply a meat, a vegetable, and some fat, there's not much to blog about. The old standbys of carnitas, grass-fed beef steaks, grass-fed beef burgers, rotisserie chicken, and turkey breast are all my go-tos. And that's okay. Most of us don't live our lives with something new at every meal. If you like something, you eat it often until you get sick of it. Most people rotate their meals around just a few different varieties. And that's okay as long as you're trying to get a good variety of healthy foods on your rotation. If a recipe is good enough to keep your attention and appetite for quite some time, that's a winner! Since I HATE cooking late in the evening when I get home after work, I've found myself relying on store bought meals too often. 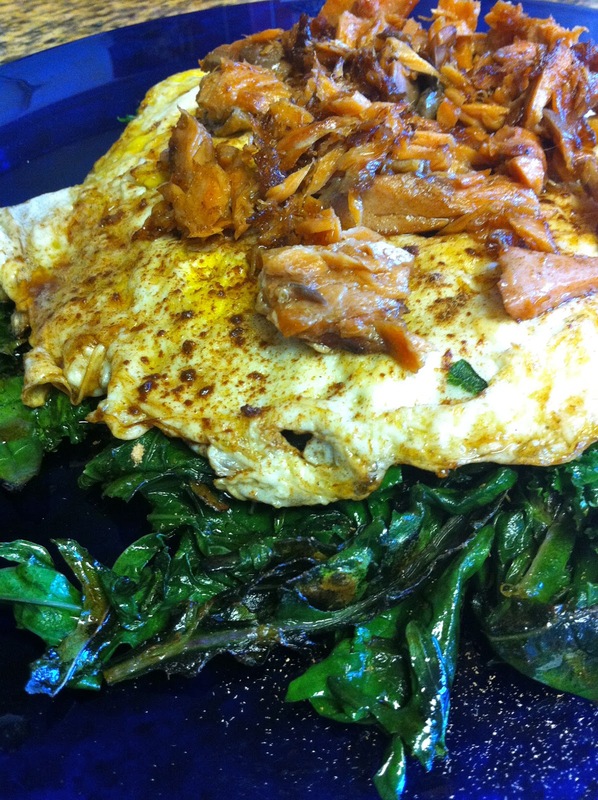 Sure, they can be satisfying paleo-style eats, but it gets tiresome and expensive. I was looking for something new to try when slow cookers caught my eye. I had always thought of them as a fire hazard and never dreamed of leaving something plugged in and cooking all day alone with the cats while I was out and about. But then I realized I could cook something overnight and everything changed. I went with Consumer Search reviews and bought a slow cooker . Wow, with just a little prep at night and no fuss cooking while I'm sleeping, I have food for a good few days. And the best part--it's freakin' delicious! My second attempt was a pot roast. I was thinking of doing onion soup since the onions came out so terrific in the chicken recipe, but onions and I have a hard time getting along. I've tried glasses, contacts, and even my old chemistry goggles, but I still have a hard time cutting them or even being the house with them once they are cut. I am streaming for the rest of the evening while dinner cooks, even if I wasn't even in the room while they were being cut. Not fun. 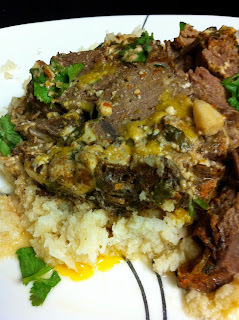 So I had a defrosted Morris Grassfed chuck roast and not much else. Time to pull something together: MacGyver-style. Since I had recently marinated a grass-fed flank steak in cilantro and lime juice, I had some leftover limes and chopped cilantro. We always have some coconut milk lurking around the cabinets, so that was an easy pairing for a coconut curry. Thai red curry paste was hiding in the fridge and I had just enough to create a little paste. The garlic packets are now my go-to for easy garlic prep (don't hate me). I threw everything in and realized I forgot to cut the roast to get more flavor into the thick hunk of meat. So sliced it in the pot (carefully! without scratching the pot), rubbed it all around with my hands to moosh the milk and seasoning all together into all the nooks and crannies, then closed the lid. It took all of five minutes. Yay! I looked at the slow cooker directions for chuck roast and decided it was somewhere between beef roast (which was 4hrs on Low) and brisket (which was 8hrs on Low). Six hours was perfectly tender and cooked with an aroma that filled the house, giving the "OMG that smells so good it made me hungry" response from my husband every time he went outside and came back inside. Cool! That lasted us a good week having it sporadically with lunches and dinners so as not to get tired of it. The sauce was AMAZING sopped up in cilantro-lime cauliflower rice and served in a bowl with a spoon like a stew. I even sopped it up with broiled bacon-fat smeared broccolini (I could have that every dinner)! So we tried the recipe a second time, being more diligent with the prep and using a different, tougher cut of meat to see how it works and....perfection! The roast is outstanding once again. Try it yourself! Lip-smacking delicious--this is juicy, tender, shred-able beef fit for a feast! NOTE: despite being a curry, this one is very mild on the spiciness--if you want to liven it up, try adding some heat yourself (more/hotter curry paste, hot peppers, cayenne, etc.). After you have the ingredients prepped, make a paste of the curry and lime juice so you can smear it over the roast (nooks and crannies too!). Add the garlic and insert into the deep cuts in the roast (it'll melt like but-tah--oh yeah!). Sprinkle on the cilantro and shove some in the pockets of the roast. Now pour on the coconut milk. Lid. Walk away for six hours and return to deliciousness! Note: most slow cookers change to warm after their cook time, so it's best to make this right before you go to bed. Then, when you wake up, you can turn it off and cool it on the counter before whacking it in the refrigerator before you leave for work. When you return home, the sauce will have congealed a bit, but some heat will melt it all back into a savory, deliciously rich sauce and warm that meat for shred-able delight. Serve with a spoon as a stew or over Cilantro-Lime Cauliflower Rice (recipe below) to sop up that flavor. Yum! Leftovers will last covered/sealed in the refrigerator for a week. I was trying to replicate Chipotle's cilantro-lime rice and it works--quite tasty and a great accompaniment to the roast for sopping up the delicious curry sauce! Wash the cauliflower and break into small florets. Food process them in small batches, looking for the cauliflower to stick to the sides and the blade to spin freely (it tells you when it's done!). Once done with all the batches, you can either cook with the cilantro, lime, and salt in a skillet or microwave in a covered container until softer and less smelly (cauliflower smells strongly once cut--try to cook it or freeze it at once, seal it up tight, and eat it quickly or your entire house will smell pretty sulfurous). The time it takes depends on your preference for doneness and how much you are trying to cook at once, but it's usually no more than 15min max for large batches. Stir periodically during the cooking. Alternatively, you can pre-cook halfway and freeze until you need it. Then, just defrost, squeeze out some accumulated water or drain, and add the seasonings and cook briefly. Since cauliflower rice is so messy (those little bits get EVERYWHERE), I like to make a whole bunch and freeze what I don't immediately need. Timesaver! So there you have it--a meal that takes very little time to prepare and feeds you and your friends/family heartily or lasts you a good few dinners and lunches. For me, a slow cooker definitely earns its keep, helping me break out of the "I don't feel like cooking" slump and reinvigorating my paleo-style meals. I highly recommend it! Oh and in case you haven't seen me on Facebook--please follow the link in my sidebar and friend me for updates and connecting back and forth! I'm also included on the weekly Paleo Rodeo graciously hosted by Modern Paleo when I get my post together in time. Check it out for some fantastic recipes and paleo/primal discussions. Thanks for hosting, Diana! What To Drink Part 5: Chocolate Milk for Recovery? Today, let's talk chocolate milk. 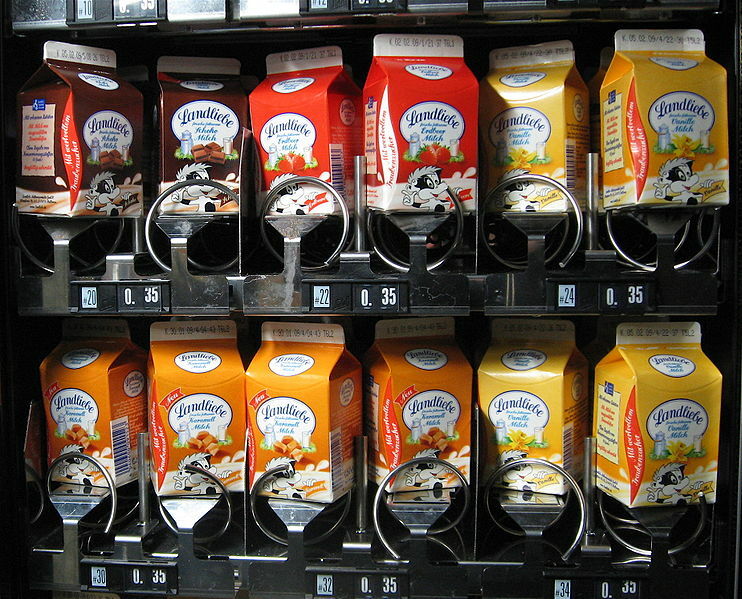 While we know that added sugars aren't great for anyone, especially if that added sugar is high fructose corn syrup, there are some proponents of chocolate milk. Chocolate milk is actually used as a recovery drink after intense exercise. Why? It generally has a 4:1 ratio of carbohydrate to protein, which refuels the body with quick energy that opens the floodgates to bring protein into muscle cells for their replenishment and rebuilding. In the study, nine male cyclists rode until their muscles were depleted of energy, then rested four hours and biked again until exhaustion. During the rest period, the cyclists drank low-fat chocolate milk, Gatorade, or Endurox R4. During a second round of exercise, the cyclists who drank the chocolate milk were able to bike about 50% longer than those who drank Endurox, and about as long as those who drank the Gatorade. The findings suggest that chocolate milk has an optimal ratio of carbohydrates to protein to help refuel tired muscles, researcher Joel M. Stager, PhD, Indiana University kinesiology professor, tells WebMD. But the most puzzling result of the study, experts say, was why Endurox -- which has the same carb-to-protein ratio as the chocolate milk -- fared so poorly. Researcher Jeanne D. Johnston, MA, tells WebMD it may have to do with the different composition of the sugars in the milk. Another theory is that the sugars in the milk may be better absorbed in the gut than those in the Endurox. 1. It was funded by the the Dairy and Nutrition Council, Inc.
2. The sample size of 9 athletes is a bit small to make large conclusions. 3. The study only looked at endurance athletes. 4. There was no control or placebo used to test against. Chocolate milk provided during recovery can improve subsequent time trial performance in trained cyclists more effectively than an isocaloric CHO [carbohydrate] supplement. This may be due to a faster rate of muscle glycogen resynthesis. Now, does chocolate milk offer THE BEST post-workout recovery? To answer that, you need to weigh the pros and cons of chocolate milk. It's an effective recovery drink after intense activity. It's cheaper than sports drinks. Liquid nutrition may be easier on the stomach after intense activity. It's quicker to ingest and to digest. Chocolate stimulates the brain's pleasure center. Chocolate contains antioxidants and studies have shown it may promote heart health. Chocolate milk might not be necessary or as effective after ALL types of exercise. It's highly processed, pasteurized and homogenized, and likely comes from cows fed an unhealthy, grain-based diet complete with hormones and antibiotics. It's artificially sweetened with a quantity of sugar equivalent to a can of soda. The sugar is usually high fructose corn syrup, which leads down the road of fructose problems like fat storage, increased appetite, insulin resistance, and non-alcoholic fatty liver disease. Dairy can bring a host of problems even to those not lactose-intolerant. See Dr. Cordain's Paleo Diet Blog reasons for eliminating dairy. The Paleo Diet also discourages chocolate for being acidic and an allergen (perhaps not for the cocoa so much as the caffeine or additives like milk, soy, and grain-derived ingredients). According to CrossFit Reno's post: Chocolate Milk: Recovery Drink??? Yes or No, a little chocolate milk may not provide enough replenishment. 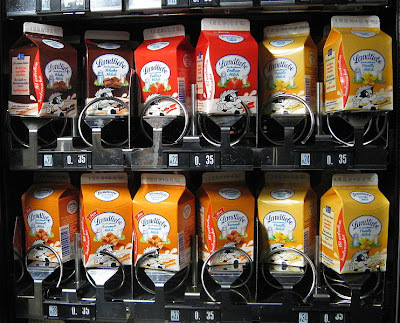 According to Kristine Clark, Ph.D., R.D., director of Sports Nutrition at Pennsylvania State University, the milk industry has gone to extreme efforts to convince the public, especially athletes, that chocolate milk is the "one and done" product for athletes to drink for muscle recovery. "And it's not," says Clark. For high-intensity aerobic or anaerobic sports: 4-8oz lean protein plus 50-100g paleo-friendly carbohydrates (ex. sweet potatoes, squash, fruit) within 30min after activity. For sprinters and power athletes: cyclical low-carb diet of mostly lean protein, liberal fat, and low-density carbohydrates spiked with increased paleo-friendly carb sources once or twice a week. Post Workout Nutrition: High or Low Carb? Check out an elite CrossFitter and coach's take on pre- and post-workout fueling, from his FAQ. Have an empty stomach but drink fluids pre-workout for high-intensity, metabolic workouts and eat as you like for heavier, strength-based workouts. Similarly, if the workout was strength-based, a balanced meal of lean protein, fat, and carbohydrate after will likely suffice, but a more metabolically taxing workout needs more refueling with higher carbohydrate and lean protein the sooner after the workout, the better. In Post-Workout Fasting, Mark Sisson author of The Primal Blueprint advocates a high protein snack within 30-60min of exercise or occasional post-workout fasting to capitalize on a rise in human growth hormone after exercise. He also has more specific advice for those seeking to Gain Weight and Build Muscle. In that case, he suggests eating protein and fat post-workout and high-density carbohydrate after high energy expenditure. In my opinion, real food trumps man-made food any day, just for the sake of being more true to nature and true to what you body expects from food. So if you eat higher-glycemic carbohydrates (like sweet potatoes) in conjunction with some lean protein (like chicken or fish), you're likely to get the recovery you seek. To be sure, start keeping a training log and be specific about amounts of food, type and duration of exercise, and how soon you refueled so that you can see the patterns. If you want to give chocolate milk a try, log how you feel afterward. Does it help you recover better, the same, or worse than other foods? Only YOU can answer: What makes YOU feel your best? In a pinch, chocolate milk is great for recovery, especially if you make it yourself using quality ingredients like dark chocolate and raw, grass-fed milk (organic at the very least, and it looks like the less fat, the better when it comes to post WO milk), and perhaps eat some starchier vegetables on the side to get a greater carbohydrate kick. While the chocolate milk definitely "works," whether or not you want to accept it and its baggage into your diet is your own choice. I'm interested in hearing your stories with milk and other post-workout nutrition! What works best for you? Keep checking back for more updates on other beverages to see how they size up with paleo-style living!